Early this week, the cool Baguio air has started to become cooler. I have to bring sweater with me every time I go out to work. At night, I have to place a pair of socks beside me so I can wear them whenever I feel the chilling dawn breeze. Oh, Christmas is here again knocking at our door asking for money. It’s the most expensive time of the year, isn't it? That is why you need some “economic budgeting”. 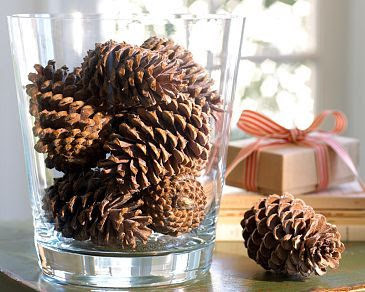 Collect fallen and dried pine cones in the mountains, and use them as your Christmas décor at home. If you are in Sagada or any part of the mountainous Cordillera, this is perfect for you since you can gather sacks and sacks of pinecones in the mountains there for free! After an all-night jamming, clean liquor bottles. Remove the caps and cigarette butts inside the bottles. Use the bottles as your candle holder. Sounds classy? Indeed. If one day you’re electric supply got disconnected due to unpaid bills, you may use the bottles for your candle-lit dinner, breakfast, and lunch! Prepare a list of what to buy before going to the mall. Then proceed with your Christmas shopping solo. Why? When you are with someone else, shopping never ends. That is the truth. When you are with your kids, they will just point at what they like to have on-the-spot. And you can’t say “NO” to your angels. You must be broke by the end of the year. You will buy mobile phones, house-and-lot packages and travel tickets to send to your friends as Christmas presents. Enough of the material gifts that everyone is craving for. Just declare on your Facebook page that you are going SPIRITUAL this year. Meaning you want to offer your hands to your friends as a Christmas gift. You tell them you love to do the babysitting, laundry and the cleaning of their car as your spiritual Christmas gift to them. Don’t worry; they’ll be shy to say “come to my house now”. Since there are many promos and freebies this Christmas, hunt them down. Seize them all. Have a promo shopping one time. Visit every store in every corner of every street in your town or city. Utilize freebies, vouchers, promo codes, etc ‘till the last drop. When buying goods, never forget to ask the front-desk guard if their store offers holiday treats before proceeding with the next step of the shopping! 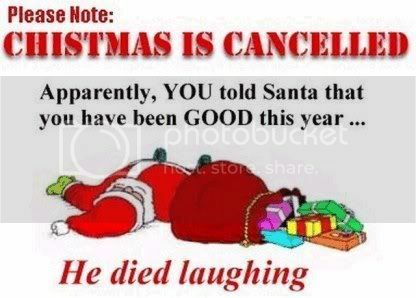 Saying that you are not going to celebrate Christmas is the worst thing that you can do. Or you might say you are no longer a Christian now! I WILL SEND YOU SOME, IF SNOW FALLS IN THE PHILIPPINES.